Jeep’s Global Compact-SUV Isn’t As Small As You’d Imagine. But, It’s Exciting And It’s Here In India This June. Jeep India has taken the wraps off the Compass, a rival to Hyundai’s Tucson and Honda’s CR-V. Pegged as the global compact SUV for Jeep, the Compass goes into production on the outskirts of Pune in June 2017 with the official launch starting shortly after. The Compass will be offered in India with a 2-litre diesel engine making over 170PS of power and 350Nm of torque. The 1.4-litre Multiair petrol, which is a turbocharged petrol, will make over 162PS and 250Nm of torque. These engines can be combined with 6-speed manual transmissions or 7-speed dual-clutch automatic gearboxes. While the standard Jeep is a front-wheel drive machine, a 4-wheel drive system with proper low-range will also be available as an option. This will combine the magic of Jeep’s software controls called Selec-Terrain, which offers four modes Auto, Snow, Sand and Mud to tackle different terrain. 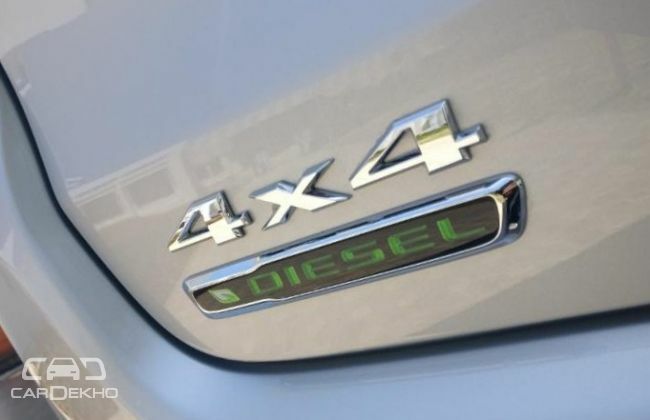 However, the 4x4 hardware will only be paired with the manual transmission. The Auto mode allows the Compass to disconnect drive to the rear wheels. If 178mm of ground clearance doesn’t sound too inspiring for a Jeep, it hints at a higher focus on on-road performance for the Compass. Independent suspension with adjustable damping will help make the ride more comfortable. This 2-row, 5-seat SUV is sure to spend most of its time in India on tarmac in the big cities or on the highways in between them. The in-cabin experience is more Grand Cherokee, rather than Wrangler, which means it is sophisticated and premium. Hexagonal design cues for the centre console, perforated leather for the seats, textures that suggest ruggedness associated with a Jeep are balanced handsomely. Safety has been given huge importance as well, as 6 airbags, ABS, EBD, Hill start assist and many other features are being offered as standard on the Compass. The chassis also uses industry-leading levels of high strength steel and hot stamped parts for high rigidity while reducing weight. 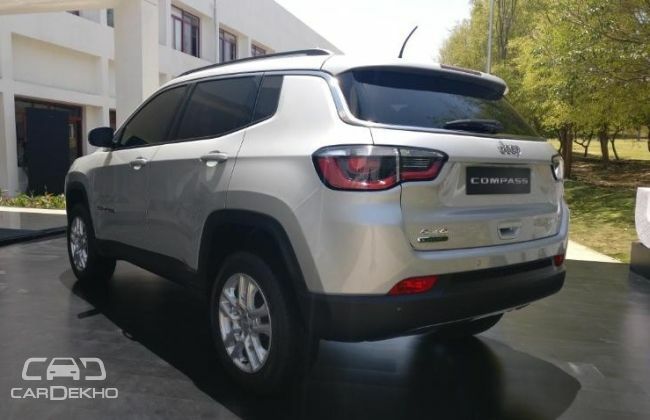 In terms of exterior design the Compass has created a sleek identity that mixes the premiumness of the Grand Cherokee and the Wrangler in healthy measure. Square wheel arches hark back to the original Jeep and the contrast colour roof aims to suggest an open top look. 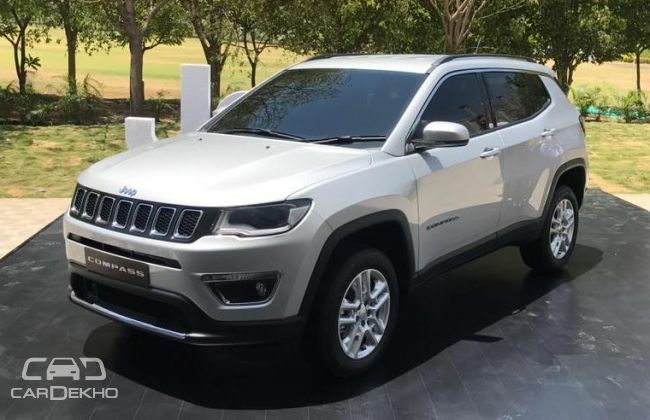 The FCA Ranjangaon facility will manufacture right-hand drive versions of the Jeep Compass and will also act as the export base for Australia, Japan and the United Kingdom. Kevin Flynn, President and Managing Director, Fiat Chrysler Automobiles stated that one global quality product will be provided to all markets. To that effect the Ranjangaon facility has cutting-edge technology to ensure the millimetre precision and high quality.